Announcing: Our Next Author to Author Event!!! I think most book bloggers would agree that there’s always a high level of excitement when you ask a favorite author to do something in conjunction with your blog and they say yes. I look forward to sharing their interview with you next Monday!! 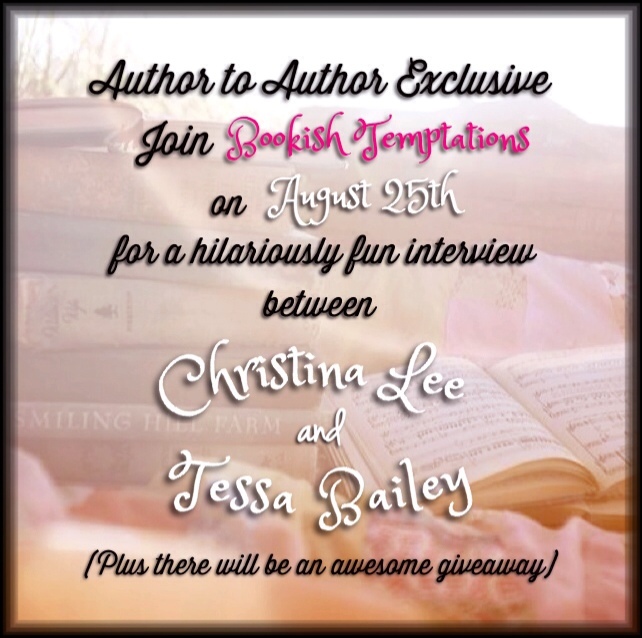 This entry was posted in Author Spotlight, Author to Author, Christina Lee, Exclusive, Favorite Authors, Giveaways, Guest Post, Interviews and tagged Author Spotlight, Author to Author, Christina Lee, Exclusive, favorite authors, Giveaways, guest post, Interviews.